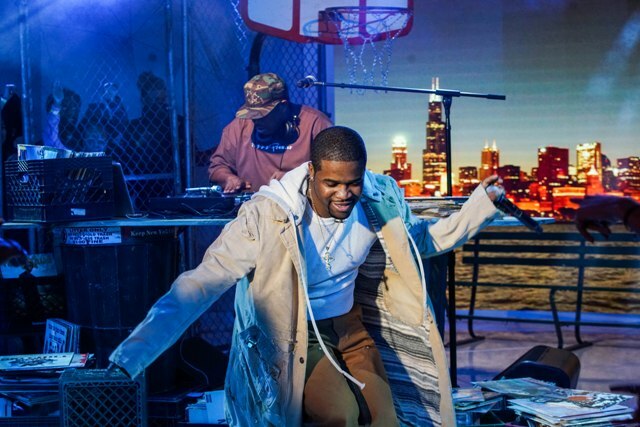 legendary producer DJ Premier and A$AP Ferg performed their hit single "Our Streets" live on MTV's TRL. The song is one of the first projects born from the newly re-launched Payday Records label. After an introduction from the Black Eyed Peas, the exciting “Our Streets” performance is a throwback to park jams and block parties; Premier's turntables are set up atop New York City trash cans with a park bench, basketball goal, and chain link fence surrounding the stage. The track can be described as a classic New York hip-hop record, combining DJ Premier’s signature soulful beats and A$AP Ferg’s raw MC sound. The track also marks Premier and Ferg's first collaboration together, after crossing paths on numerous occasions, waiting for the best opportunity to create. Premier describes the song as a fusion of his generation's rap scene and Ferg's scene, and the recently released music video stays consistent with this vision, saluting that throwback New York vibe.